Wempe-Instruments.com presents the whole delivery program of the WEMPE chronometer manufacturer from Hamburg, German. Marine chronometers and ship clocks are important instruments at sea. 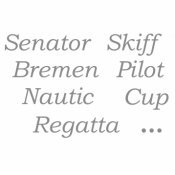 But also on land they are very popular among supporters of maritime life style and, because of their appealing looks, can be found in offices and living rooms all over the world. In fact, barometers for measuring atmospheric pressure or hygrometers for determining humidity level are not only useful when sailing the seven seas. 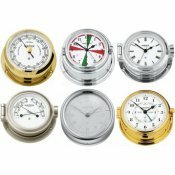 In our online shop you will find marine precision instruments and nautical chronometers for sailing yachts and ships, or as decoration at home, manufactured by the high-quality brand WEMPE. Whether brass, chrome, or classy mahogany enclosure - our marine instruments impress with their timeless elegance. Make your dream of an extraordinary, timelessly elegant ship clock or high-quality chronometer come true. Who likes it the traditional way: The WEMPE bell clocks, chrome or brass, with toggle clasp are a reminder of Christopher Columbus' time. All marine instruments you can order from our company work precisely and make the sailor's heart beat faster.